We have trained our hands in repetition; we are alert rather than bored because we have developed the skill of anticipation. But equally, the person able to perform a duty again and again has acquired a technical skill, the rhythmic skill of a craftsman, whatever the god or gods to which he or she subscribes. 'The Craftsman' is the first of Richard Sennett's three volumes on material culture, with particular srcutiny of the 'skill of making things well'. He refers to many areas of craftsmanship, including that of arts and crafts, as well as music, architecture, social use of buildings, psychology and interaction within the workplace. Frequent reference is made in his thorough and enlightening investigations of oriental methods of working:in the industrial context of companies such as Nokia, or in his discussion of ‘the lesson of minimum force’ – understanding and controlling muscles in order to master the skill of using knives well. Rhythm, ritual and respect for the sharp knife are key to becoming expert at controlling the tool. Most important of all is time. In what Sennett calls the ‘rhythm of concentration’, the commitment of practice to become expert at anything (to gain tacitknowledge) requires the investment of 10,000 hours. Sennett converts these hours into practising 3 hours a day for 10 years. This is a rule of thumb, but he points out that compressed apprenticeships – for example that of a goldsmith, or the intensive training undergone in a doctor’s internship –while taking fewer years, equates to roughly the same amount of time. His reference is to psychologist Daniel Levitin’s This is Your Brain on Music, where this magic number keeps cropping up in the context of how long it takes composers, athletes and authors to become expert. It comes as no surprise to have found this same period of time – 10 years – quoted in research into how long it takes a cutter of katagamistencils to become expert. 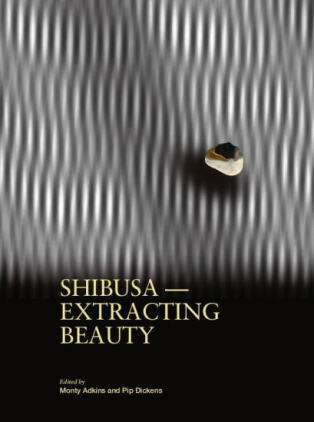 Moreover, the Japanese fully understand, and celebrate, the ‘rhythm of concentration’ their artists and artisans have dedicated their lives to it in order to become expert – many being honoured as Living National Treasures. The way in which these individuals are of significant cultural importance reveals just how significant physical skills are to the Japanese in general. Japan has an international reputation for its technological sophistication, for embracing machine production and for pioneering innovation. But there is something else, too – a qualitative approach that harks back to the fundamental elements of craft: of making things well and investing time in learning (research). Research results in innovation and this, in turn, also throws up failed attempts along the way. Failures, therefore, are as useful as the successes if they are appreciated within the context of learning. Some failures result in new innovations and inventions. Failures offer three choices: exploit them in the current work, acknowledge them and use them as a positive approach in future works, or acknowledge they are redundant – aesthetically and practicably never going to work. Thus a ‘no go’ area is as useful as a ‘green light’ when investing time and materials into an artist’s practice. 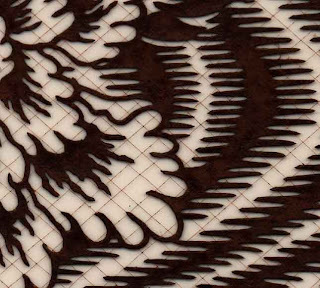 Ise katagami is a Japanese method of making stencils with fine and elaborate patterns, which can be used to print on to a variety of substrates (this is called katazome). The katagami stencil is a sophisticated paper stencil created with a variety of sharp knives or specially shaped punches (see images). The history of the katagami stencil can be traced back to stencilling patterns on samurai warriors’ armour (leather helmets and stirrups, for example) in the Nara period (710–794). Some sources state that katagami already existed by the late Muromachi period (around 570). The Book of Delightful and Strange Designs, Being One Hundred Facsimile Illustrations of the Art of the Japanese Stencil-Cutter, published in 1893 by Andrew White Tuer, suggests that the use of the katagami stencil flourished in the seventeenth century (Edo period 1603–1868). Miyazaki Yuzen (referred to as Someya Yuzen by Tuer) is identified as an artist of great significance in popularising the development of yuzen-zome– hand-painted designs on silk using resist-paste techniques and, most importantly, dye-fast techniques. Miyazaki Yuzen was originally a painter of Japanese fans. His artworks were very popular and he was persuaded to produce works on kimono fabric, which, in turn, resulted in a unique style of hand-painting becoming highly popular in the Meiji period (from 1868). 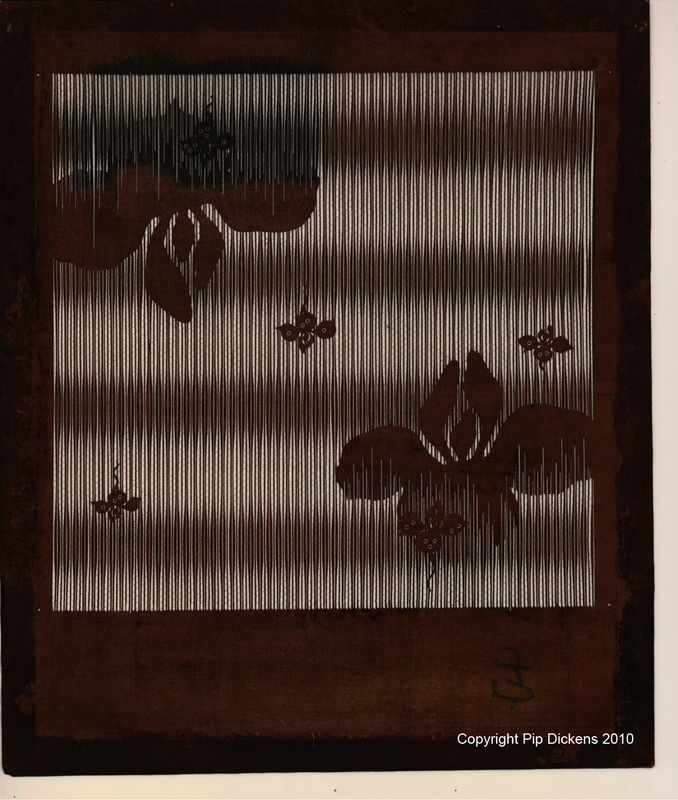 His new innovations proliferated across the textiles industry during this time, and so began a boom in designing, printing and painting on fabric – examples being the kimono and polychromatic suspended pictures called kakemonos. It is interesting to note how an artist working in a specialised area can bring new innovations to another quite distinct practice. 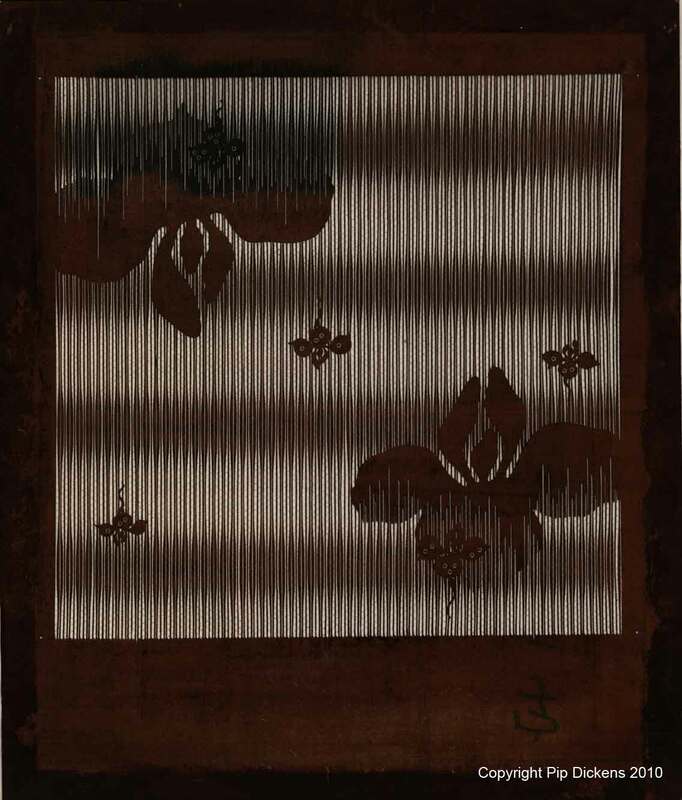 Subsequently, Kyoto-born artisan Jisuke Hirose further developed techniques in yuzen-zome(or katazome): printing pattern using paper stencils and chemical dye, which further popularised these associated techniques on a range of textile substrates. 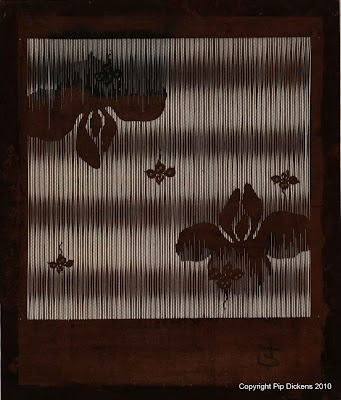 Yuzen technique employs two methods of approach: tegaki (hand- dyeing/painting) using brushes (painting); and kata(stencil-dyeing), a technique to dye silk using a cut-out paper template (printing).